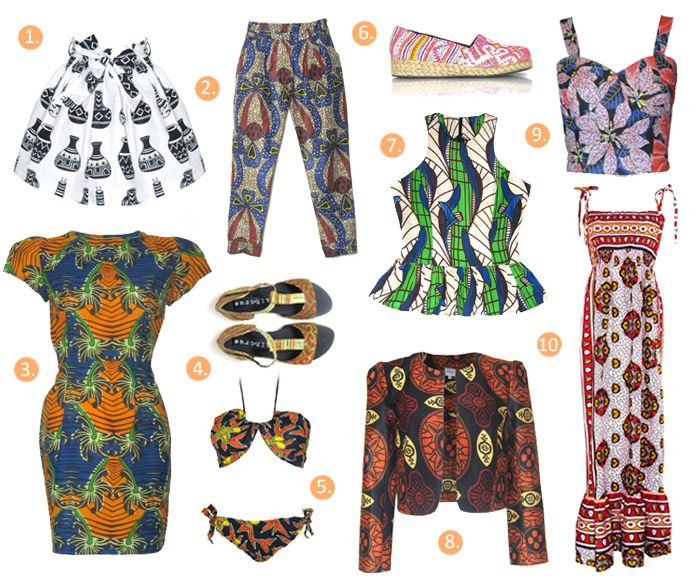 Possessing a penchant for brightly coloured ethnic fabrics, it goes without saying that I'm totally in love with African prints. 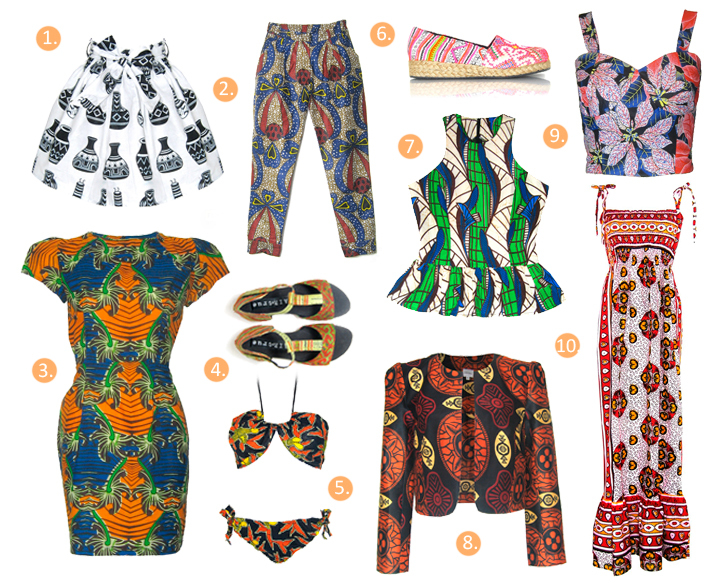 Lucky for me the fashion world's gone Africa crazy this season, with both the shops and the web positively bursting with eye-popping hues and over sized prints. Of course you can take your pick from the gazillion options out there, but why not get something a little more authentic, and while you're at it make that choice an ethical one? A label that happens to tick all three boxes (contemporary and super stylish, check. Ethically produced, check. Use of authentic, traditional fabrics, check) are London based label FAIR + true. Their range of Kanga print (traditional fabric from East Africa) and Kanga inspired maxi dresses, beach and swimwear, tailoring and footwear are created using organic or sustainable materials such as soy, bamboo, tencel modal or organic cotton and are produced locally in London or in Kenya and Malawi under Fair Trade schemes, making special efforts to support local communities. Ethnically ethical statement pieces at an affordable price - what's not to love? FAIR + true also utilise traditional textiles from both Nepal and Vietnam, examples of which can be seen above in vegan footwear products 4 and 6.